Gaursons is gearing up its rate of success in the real estate industry by launching world-class township projects time to time. 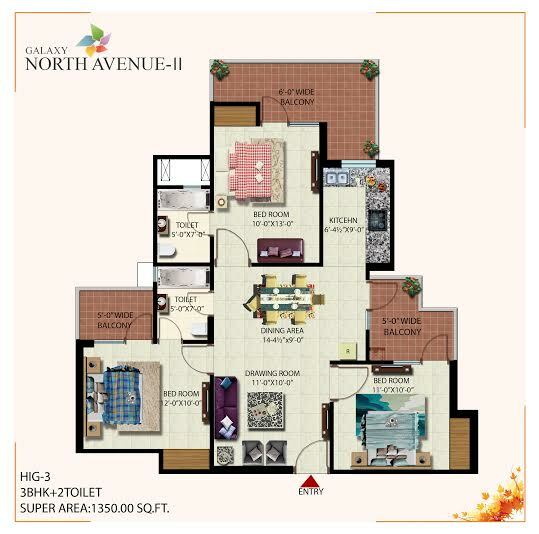 For instance, Galaxy North Avenue 2 is another vital project launched by the giant for its patrons. 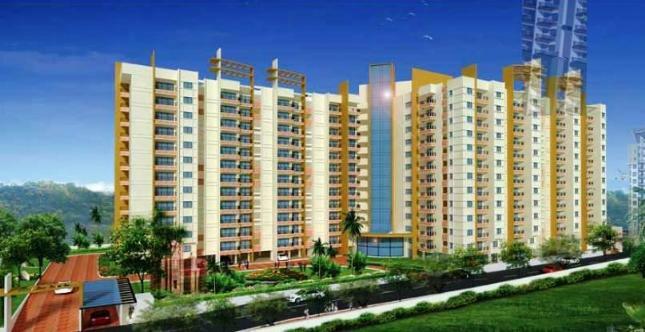 This brilliant project is based at Noida Extension and offers furnished apartments in 2BHK, 3BHK, and 4BHK. The apartments will surely include stunning bathroom, kitchen, bedroom, hall, balcony, etc. The project has good master plan and is being constructed under the supervision of renowned architect and engineers of the industry. The area covered by the project is upto 6.50 acres. Besides, the project plan includes 7 towers having 26 floors and whole building has 700 units to sell. Also, company offers apartments at reasonable prices along with possession in December, 2018. Sector 16 Greater Noida West 1350 Sq.ft. 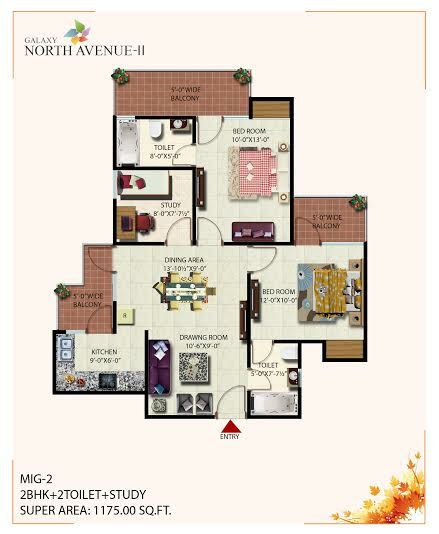 Sector 16 Greater Noida West 1175 Sq.ft. Sector 16 Greater Noida West 1070 Sq.ft. 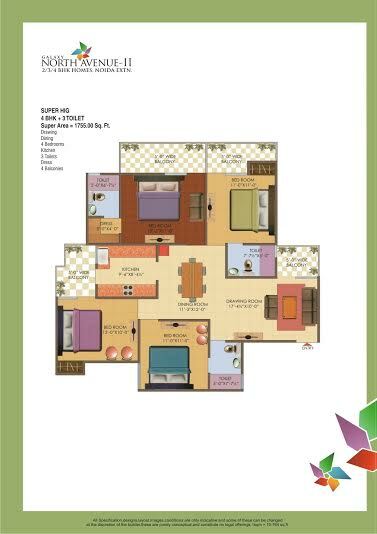 Sector 16 Greater Noida West 1755 Sq.ft. Sector 16 Greater Noida West 1250 Sq.ft. 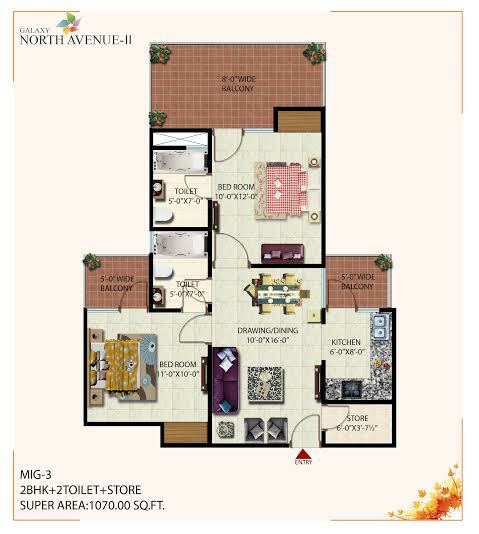 Sector 16 Greater Noida West 925 Sq.ft. Sector 16 C Greater Noida West 855 - 1300 Sq.ft.